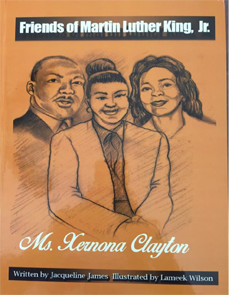 Xernona Clayton was never seen in the images depicting marches, demonstrations, or boycotts. That doesn't mean she wasn't involved in the civil rights movement. She performed the unsung but necessary tasks before and after the protests: fundraising, clerical duties, planning social events, securing medical care for injured demonstrators, arranging bail for marchers, as well as many other tasks. This is how Ms. Clayton supported the civil rights movement. The books are a valuable resource for teaching American History to students! The books and activities are aligned with our State's Standards and Common Core!